Fresh from the massive success of Féile 30 in August last year, the dynamic team at Féile an Phobail have put together a fantastic programme of events for Féile an Earraigh, the annual Spring Festival, which will take place from 1-18 March. Féile an Earraigh will be launched tomorrow (Wednesday February 13) at An Chultúrlann on the Falls Road. Ahead of the launch Féile Director Kevin Gamble gave us a taste of what Féile an Earraigh has to offer this year. “We are delighted that the Mayor of Belfast, Deirdre Hargey, will join us to launch the event along with Packy Lee, who plays Johnny Dogs in the hit TV series Peaky Blinders,” said Kevin. “Packy Lee is a West Belfast man who we are all very proud of and we are looking forward to hearing what he has to say at the launch event. “All are welcome to attend the launch and see the full programme of events for this year’s Féile an Earraigh. 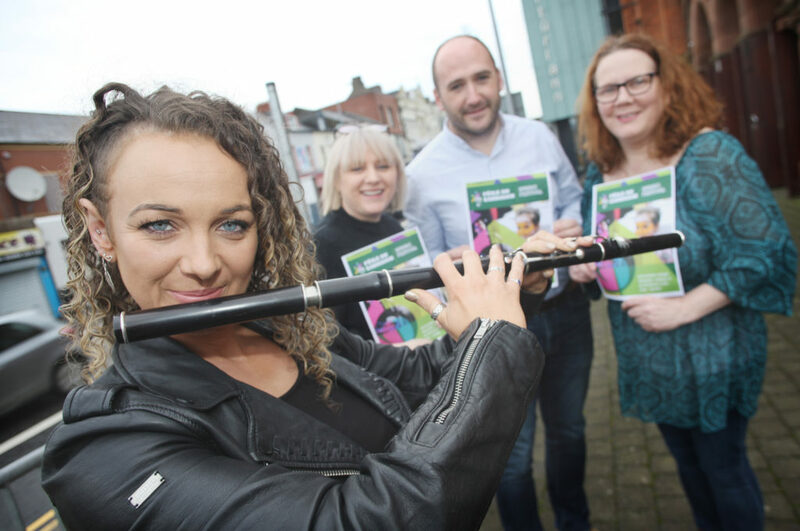 “Some of the highlights of this March’s Spring festival include the Féile Trad Trail with free live Irish traditional music at venues across West Belfast in the week leading up to, and including, St Patrick’s Day. “We are very excited that on Sunday 10th March, Barry Kerr, Pauline Scanlon and Seán Óg from Beoga will be in concert in Clonard Monastery with tickets priced at only £10 and available from Ticketmaster from Friday 15th February. On Monday 11th March Barry Sheppard will host a panel of four historians who will consider the 100th anniversary of the formation of the first Dáil and the beginning of the Irish War of Independence, with the opportunity for audience members to ask questions. The Shankill Library will be the venue on Tuesday 12th March at 12.30pm for a talk by the acclaimed Dr Éamon Phoenix who will speak on the subject of Ireland in Transition 1917-21, covering the period from the Easter Rising through to the partition of Ireland. World renowned QC Michael Mansfield will be in conversation with Pádraig Ó Muirigh in Glór na Móna on Tuesday 12th March at 7.30pm where he will discuss his life and work. “From Tuesday 12th March to Saturday 16th March, the play Gibraltar Strait will be shown at The Roddy McCorley Club with tickets priced at £10 and available from The Roddys,” added Kevin. “Former Belfast Mayor and renowned historian and author Tom Hartley will launch his new book detailing the history of Balmoral Cemetery with the launch event taking place in St Mary’s University College on Thursday 14th March at 7pm. “Art Amuigh, the first ever Féile outdoor art gallery, will take place on Saturday 16th March from 10am-4pm on the railings along the outside of The Kennedy Centre and across the road outside The Felons Club. On St Patrick’s Day the Craic 10k race will take place from Belfast City Hall through the Gaeltacht Quarter to Ormeau Park and prices to enter start at £18. Thousands take part in this huge event and those interested are reminded to register ahead of the run.